Four days after the fourth anniversary of the spark that ignited the fury of protests widely known as the Arab Spring, Tunisian voters reminded the world about what the Arab Spring is supposed to look like. The election of a new president this week capped four years of hard work that involved politicians and leaders of civil society institutions. In four years, Tunisians elected a constituency assembly primarily tasked with forming a transitional government and writing a new constitution. Those goals, despite many setbacks, were finally achieved. In the past three months, Tunisian voters elected a parliament, narrowed the field of presidential candidates (of more than 24 candidates) during a first round of presidential elections, and finally chose Beji Caid Essebsi, giving him 55% of their vote over the interim president, Mohamed Mouncef Marzouki. Without doubt, attempts to explain the outcome and meaning of the results of these elections are numerous. Some commentators described the outcome as “buyer’s remorse,” suggesting that the Arab peoples are having second thoughts about the uprisings that overthrew many of the most authoritarian, yet effective, rulers in the region. 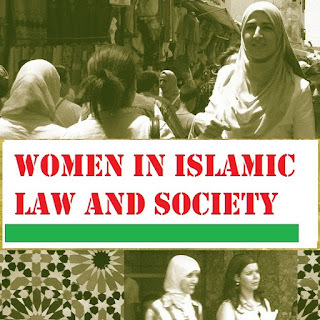 Other observers contended that the vote in Tunisia, like the one in Egypt, which brought al-Sisi to power, is repudiation to Islamists. Other analysts charged that outside money and influence is behind the counter-revolutionary movements that are repackaging old regimes in order to slow down or undo the radical changes the Arab Spring had set in motion. Indeed, there is some truth in all of these and other theories. However, the constitution that the Tunisian people approved and the process by which they transitioned towards representative governance are remarkably impressive and Tunisians, from all spectrum of social and political life, should celebrate with pride and relief. Generally, Tunisians have succeeded in keeping outside influence to a minimum. They trusted civil society institutions with mediating political dissent. They supported the interim government in its efforts to isolate violent elements who want to impose their genocidal agenda. In the end, thanks to the people’s sacrifices and commitment to non-violence, Tunisia emerged victorious in many areas. It stands proudly free from the Gulf States’ money-driven half-solutions that stalled progress in Yemen. Tunisians avoided the power grab and political opportunism like the ones that took place in Egypt. And above all, Tunisians succeeded in deliberately silencing the genocidal groups who use knives and guns to slaughter their way to power as is the case in Libya and Syria. 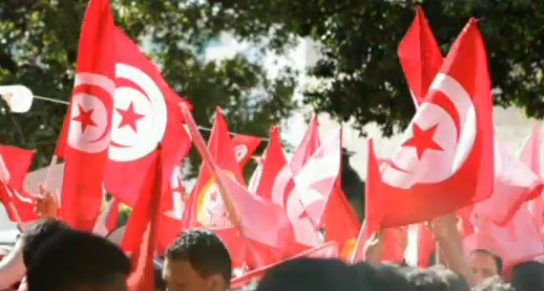 Tunisians reaffirmed their commitment to the initial cry for dignity. Importantly, Tunisians have reminded those who claim sole ownership of the revolution for themselves that the uprising was not about replacing one authoritarian regime with another or rewarding a political party over another. By voting for Nida Tunis (and its leader), which has roots in the old bureaucracy, and offering Ennahdha a significant number of seats in the new parliament, Tunisian voters seem to declare that they hold no indiscriminate prejudice against all and anyone who worked or might have worked with or for the old regime. They simply have a problem with incompetence, corruption, cronyism, and abuse of human dignity. Today, Nida Tunis, the coalition of political parties and civil society entities’ representative that was created as a counterweight to the post-revolution ruling collation, is celebrating; just as did Ennahdha and its allies three years ago. Nida Tunis and its allies should remember that the people, now, have a say in who governs and for how long. More importantly, they should remain mindful not only of the interest of the 55% of the people who voted for them, but also of the concerns of the 45% of Tunisians who voted for Marzouki and the 66% (3.5 million people) of all registered voters who did not vote at all or voted for Marzouki—not for their candidate, Essabsi. Regardless, the 36% of the all registered voters who actually voted for him did not nostalgically vote to bring back the neo-Bourguibists, they voted out those who failed, in their judgment, to govern… again. The world community should do more than congratulate the Tunisian people and their newly elected officials. They should support them economically, politically, and morally without any strings attached. Indeed, the Tunisian model for transitioning towards representative governance is the most convincing rebuttal to genocidal groups who believe in nothing but their own narrow worldview and tolerate none but themselves.